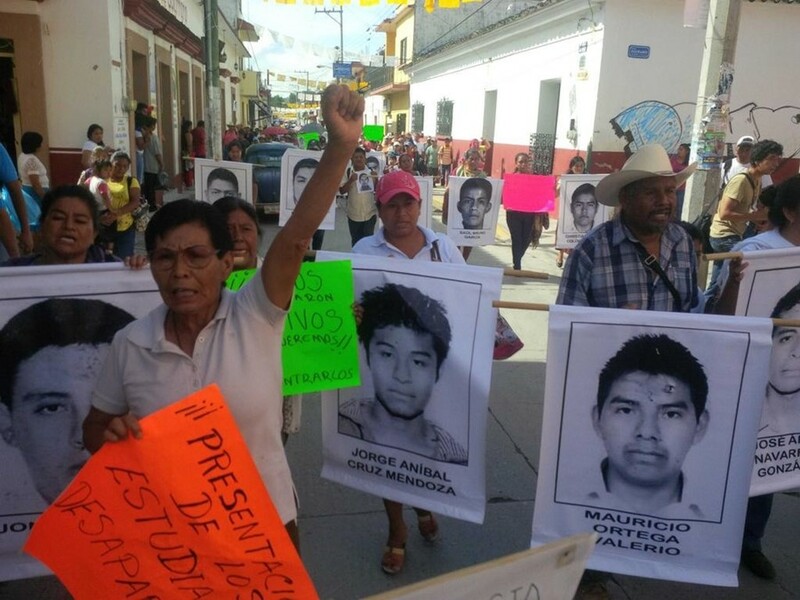 Mexico's turbulent civil landscape has been plunged into further crisis after the disappearance of 43 student protesters was linked to the Jose Luis Abarca, mayor of the southwestern town of Iguala, Guerrero, and his wife Maria de los Angeles Pineda. Students from a nearby teacher training college clashed with police in September when demonstrating against a hiring system that allegedly favours hiring teachers from inner city areas rather than rural ones. Six were killed when officers opened fire, with eyewitnesses describing seeing students bundled into police cars. The 43 protesters have not been seen since. Attorney General Jesus Murillo Karam accused Abarca of ordering the police crackdown to stop students from disrupting a speech made by Pineda. Arrest warrents have now been issued for the couple, whom Karam describes as the "probable masterminds" of the mass disappearance. Abarca and Pineda have not been seen since the initial protest and are now considered fugitives from the law. There is also a warrant out for the town's police chief Felipe Flores Velazquez. The mayor and police force's connections with local drug cartel Guerreros Unidos are said to have resulted in the protesters being turned over to the gang. It is feared that Guerreros Unidos were told that the students had allegiances or sympathies with a rival cartel. Nine mass graves containing the remains of 30 humans have been since been found, but DNA tests have so far proved inconclusive. AP reports that Guerreros Unidos paid Abarca regularly to let them to manufacture opium paste in the town, thus allowing them to control parts of the US heroin industry. The country's attorney general claims that Pineda, the mayor's wife, is the "the main operator of criminal activities" in Iguala. Thousands of protesters have hit the streets of Mexico in support of the disappeared students, with marches to demand their return sometimes ending in violence. Iguala's city hall was set on fire yesterday as some protesters lobbed Molotov cocktails across the street. A £68,000 reward for any information on the students' whereabouts has been announced today. Vigils have been held across South America to pray for their safe return. Meanwhile, the desperate search for the missing protesters goes on.